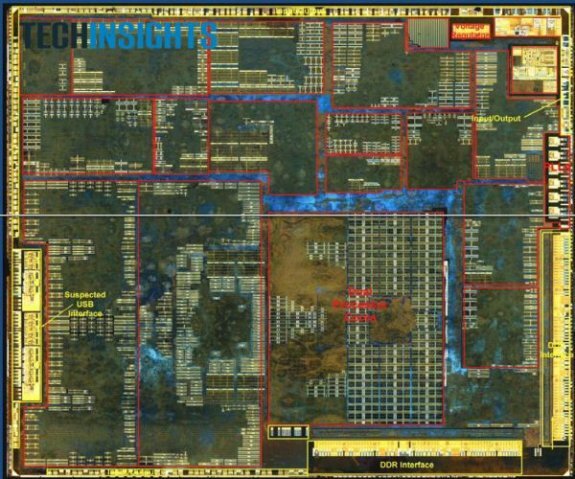 AnandTech reports Apple's A5X SoC is still made on Samsung's 45nm LP process, and came across a floorplan of the chip. You can see the two CPU cores (ARM Cortex A9s) as well as the additional two GPU cores (PowerVR SGX543MP4) compared to the A5 (pictured below). Note the increase in DDR interfaces, although it's unclear whether we're looking at 4x16 or 4x32-bit interfaces. It's quite possible that it's the former. 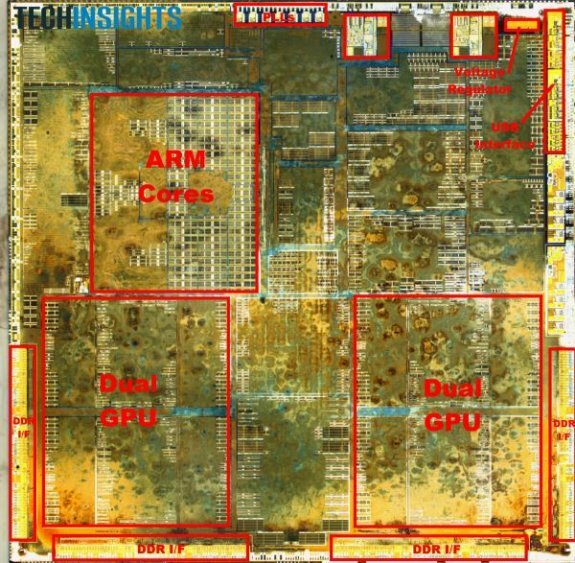 Also note that Apple has moved the DDR interfaces next to the GPU cores, compared to the CPU-adjacent design in the A5. It's clear who is the biggest bandwidth consumer in this chip.